There are some genuine surprises here along with the obvious. The superheroes of DC Comics’ live-action film franchise went “all in” for Justice League, and the DCEU as we know it will never be the same. In Justice League three artifacts of unimaginable power, called the Mother Boxes, awaken sometime after Superman’s death. It leaves the world prime for an invasion from a horned “New God” called Steppenwolf, who wants to destroy the world and transform it into some hellish landscape. But Ben Affleck’s Bruce Wayne, with the help of Gal Gadot’s Diana Prince, assembles a super-team to stop Steppenwolf and his hordes of Parademons. Joining the team are Barry Allen/The Flash (Ezra Miller), Victor Stone/Cyborg (Ray Fisher), and Arthur Curry/Aquaman (Jason Momoa). Most reviews call it at least better than the pretty terrible Batman v Superman, but a troubled development plagued the movie in all sorts of ways. The end result is a mixed bag that is sometimes pretty great, but oftentimes downright terrible. 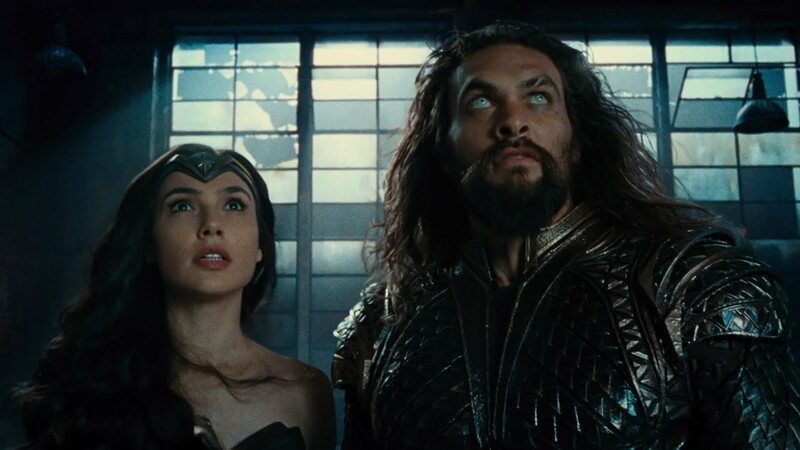 Regardless, as a superhero team-up, the events presented in Justice League changed the DCEU permanently in several important ways. Full spoilers follow for [Justice League](/topic/justice-league). The "beacon of hope" is back. Surprising no one, Superman returned from the dead midway through Justice League. Against Diana’s wishes and Aquaman’s concerns, the rest of the team successfully brought Kal-El back to life after digging up his corpse and using the combined powers of the Kryptonian ship and one of the Mother Boxes to jumpstart his dormant Kryptonian cells. Superman was MIA for the most of the movie until showing up to easily defeat Steppenwolf in the final confrontation and help Cyborg separate the Mother Boxes. After racing The Flash in one post-credits scene, Superman likely will go on to marry Lois in the near future as planned. Beyond that, the Kryptonian’s future is uncertain beyond being the Justice League’s greatest asset. It looks like Bruce might transform his old house into the Hall of Justice. The Batfleck spent all of Batman v Superman and Justice League living out of The Glasshouse built next to some lake on the outskirts of Gotham. Towards the very end of Justice League he seemingly returns to his ancestral home and makes some remodeling plans. Pretty much the only plan we hear is one to renovate a long hall with a round table that has six seats and “room for more.” Those six seats will pretty obviously go to each founding member of the Justice League — Batman, Wonder Woman, The Flash, Cyborg, Aquaman, and Superman — with the “room for more” leaving space for characters like a Green Lantern or the Martian Manhunter to join up in the future. These Green Lanterns probably don't exist in the DCEU, but others definitely do. There’s a Green Lantern Easter egg of sorts early in Justice League. Steppenwolf’s history is explained: Thousands of years ago, he tried to use the Mother Boxes to destroy the Earth. The Amazons, Old Gods, Atlanteans, and humans all banded together to defend their planet, Lord of the Rings-style. Yet another group was also present: The Green Lantern Corps. We didn’t see any Green Lanterns we might recognize from the comics, but there was more than one there. We even saw one of them die in battle, and the ring shot off into space to find itself a new user. So the DCEU is primed to introduce one or more Green Lanterns in the near future. A script has already been in development for more than a year, but who knows how much progress has been made. Steppenwolf is probably gone for good. Nothing is permanent in superhero films, especially not death in a movie where they resurrected Superman. Steppenwolf was mostly a boring, generic demon villain that wanted to destroy the world for no reason other than him having the power to do so. The combined efforts of the Justice League leave him defeated and weakened, which is enough for his Parademons to turn on him and kill him before they’re whisked through the portal they came from. In the comics, Steppenwolf is traditionally the forerunner to Darkseid — a name he mentions in Justice League — but it isn’t likely we’ll see Stepp’s boss anytime soon. By the time 'Justice League' ends, Barry gets himself a job. In Justice League, Barry Allen wanders around under the radar, a superpowered vagrant that’s jobless yet inexplicably able to afford tons of high tech equipment. His dad, falsely imprisoned for killing Barry’s mother, wants Barry to move on with his life and get a real job, but Barry’s too dedicated to freeing his father. But after he gets a “recommendation” from a friend — which is probably Bruce Wayne buying the Central City Police Department or something — Barry gets a job working in a crime lab of some kind. Fans of The CW’s The Flash know Barry’s story all too well as a “seemingly ordinary forensic scientist.” This development primes him for the Flashpoint movie that will hopefully still happen. Lex Luthor is no longer a prisoner in the DCEU. The most important post-credits scene of Justice League revealed that Lex Luthor (Jesse Eisenberg) escaped prison by using a body double. Deathstroke (Joe Manganiello) meets him on his yacht, with Luthor saying they ought to have a “league of their own,” which is an obvious hint towards a supervillain team-up known as “The Injustice League” in the comics. It’s uncertain right now exactly how this tease might factor into future movies in the franchise, especially considering the next three are Aquaman, Shazam!, and Wonder Woman 2. But chances are high we’ll see some kind of villainous team-up sooner rather than later. Justice League is out now in theaters.